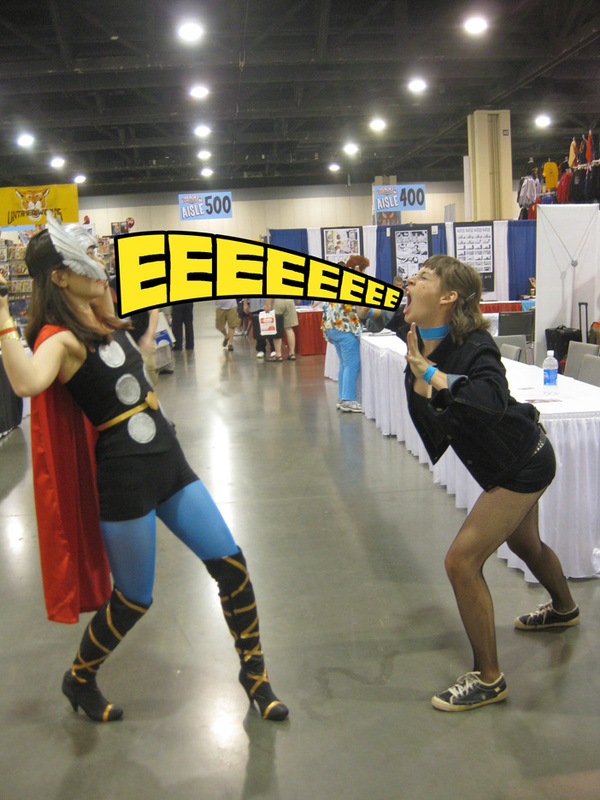 Joe Quinones' interweb-log: Heroes Con: Ovah! 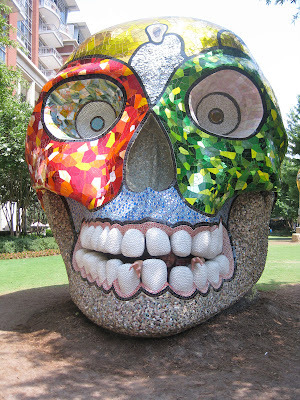 I'm back from the whirlwind that was Heroes Con, 2011, and I must say, I had a blast. Had a great time running around the city, meeting my favorite creators, and eating some darned good food. Not to mention making lots o' art. 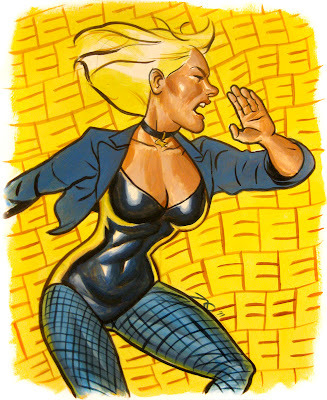 Above is a painting I did of Black Canary at the show for Heroes' famous live art auction on Saturday. It unfortunately didn't make it to the Saturday auction however, on account of there being so many entries this year, and was instead auctioned off on Sunday...C'est la vie. It's Maris Wicks in full re-designed Black Canary regalia(! ), Canary Crying at none other than Ming Doyle (dressed as Lady Thor). Ming, who showcased her Thor duds recently at Boston Comic Con, was an influence and inspiration to Maris, who decided the Thursday before the show to go to the con dressed as Dinah. Here is Maris side by side with amazing cosplayer, DJ Spider, who was sporting B.C. 's eighties costume. Awesome to meet you guys! I had fun playing dueling Dinahs! I wound up with the Black Canary piece and I'm thrilled to own it. Your table was the first I visited at the con on Friday and was excited to be able to get a Rocketeer sketch and Hal in my Wed Comics, but to wind up with the painting was a bit like hitting a jack-pot. Great show and great to meet you. Meeting you (so briefly) and Maris in person was the treat of the con for the girls and me. In addition to being amazingly talemted artists, you are both great people. I hope our paths cross again soon. Hey, D.J.! Thanks! It was great meeting you as well. We'll be on the lookout for you at future conventions. Trent - I am glad to know the painting went to a fan! ...At least I think you're a fan... It sounds like you're a fan... You're a fan, right?! ...Am I too needy? Tim (Grace & Cate) - It was an absolute highlight meeting you three at the con. Thanks so much for the stopping by and giving us your amazing drawings! Good to meet you at the show and hear your panels. You were my first stop on Friday, thanks for sketching for me. I picked up the Catwoman, I dig how you gave her costume a bedazzled look. Congrats to Trent, you did hit the JACKPOT - glad the piece went to a fan!